Do you suffer from anxiety, depression, nightmares? You might be one of the infected! 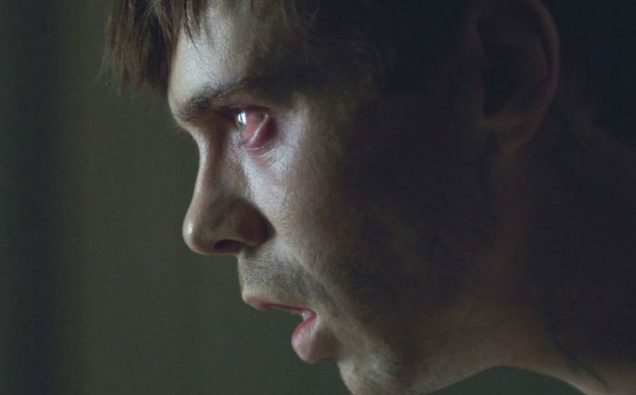 In The Cured we find a world ravaged for years by the MAZE virus. A horrible disease that turns those infected into zombie-like cannibals. When a cure is at last found, the almost impossible process of reintegrating those cured of the virus, back into society, begins. Among the formerly afflicted is Senan, (Sam Keeley) a young man haunted by the horrific acts he committed while infected. Welcomed back into the family of his widowed sister-in-law, (Ellen Page) Senan attempts to restart his life-but is society ready to forgive him and those like him? Will fear and prejudice once again tear the world apart? Filled with numerous parallels to our troubled times, The Cured is a smart, scary, sensitive and hauntingly human tale of guilt and redemption. Not just a horror movie, but something much more thought-provoking. The Cured was such an amazing movie. I love this take on the zombie genre. What happens if after the apocalypse, the undead return to life? Moving back into your neighborhoods, living next door? The Cured is truly different and that made it a fantastic and heart-breaking watch for me! It is a compelling tale, especially under our current world political state. 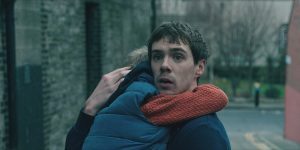 I was so excited to talk to one of the stars of the film, (my favorite) Sam Keeley, who plays Senan, one of the cured zombies trying to live some semblance of a normal life again. Sam was in Iceland buying a house but took the time to talk about The Cured with me. Our reception was terrible, but what a great guy to talk to! Just so you know, if you haven’t seen the film – there are possible spoilers ahead. Los Angeles Zombie Girl: Hi Sam! Thanks so much for talking to me! I just watched The Cured, it was amazing, I loved it! LAZG: Since I live in the U.S. I, unfortunately, haven’t gotten to watch any of your work, so can you share a little bit about your journey becoming an actor in Ireland? SK: “Sure! I was in my final year of high school and I failed all my exams, which isn’t very conducive for going to college. I hated school, so I’m afraid I’m not a very good role model. I was a singer/songwriter and was working on a demo album, so I was spending more time playing music than I was in school. My school guidance counselor, Teresa, a very special lady, got hold of me and she was like ‘heh if you’re gonna do this you need some sort of back up plan.’ I sat down in her office and we went through various classes that I could do, and I didn’t want to do any of them. LAZG: Sound’s like it was meant to be! Do you have any actors that have inspired you? LAZG: I agree! Me too. Well, that brings us to The Cured. I feel like it’s truly a fresh take on the overdone zombie genre. It doesn’t feel like a traditional zombie film. How would you categorize it? 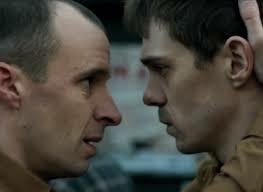 LAZG: The character of Conor (Tom Vaughan-Lawlor) who was also one of the cured alongside yourself, was the leader of an extremist underground political movement. I understand this was obvious retaliation to the people who wanted them exterminated, but his tactics seemed very terrorist. Was that a political statement in any way referring to the state of Ireland’s troubled history? LAZG: Who were really the bad guys? Right? Had the population that didn’t get infected, who lived through the apocalypse, become the evil ones now? LAZG: Your character, Senan, has a hard time living with the guilt of what he did while he was infected. He’s a very sensitive guy and wasn’t moving forward well. What did you do to prepare for such an emotional role? LAZG: Why did Senan seem to have more guilt and worse nightmares than most of the other cured? Many of them did not seem to have any remorse. Is that just who they were before? LAZG: What was it like working with Ellen Page? LAZG: Do you have a behind-the-scenes story you can share? LAZG: The ending of the film left me crazy! I know you can’t know the future, to see if there is a sequel. But could Senan keep the boy safe and try to find him a cure?